Prosecution for white-collar crimes like investment fraud and securities fraud is a hot topic in today’s world. From the collapse of Enron and WorldCom to the Bernard Madoff and Shawn Merriman investment scandals, federal prosecutors are closely watching for investment and securities fraud. When questionable activities are detected, federal investigators and prosecutors will not hesitate to pursue the matter. If you have been charged with criminal investment or securities fraud, you likely face severe civil, regulatory and criminal consequences. You could face hefty penalties, loss of professional licenses and prison time. Working with an experienced criminal defense attorney can increase the likelihood that these severe consequences can be mitigated or eliminated. 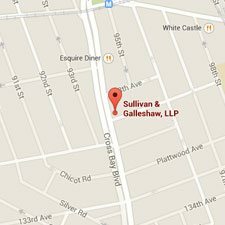 We work strategically and aggressively to defend those accused of serious white-collar crimes. What federal statutes govern investment and securities matters? Securities Act of 1933 – Also known as the Truth in Securities Act was passed to provide buyers of securities accurate and complete information to guide their investments. This law requires disclosures before investments into the fund are permitted. Securities Exchange Act of 1934 – This law regulates physical places where stocks are traded, like a stock exchange. Furthermore, while the 1933 Act regulates the primary securities market, that is shares sold directly by issuing company, the 1934 Act regulates the secondary market. Section 10b-5 of the statute and the corresponding SEC Rule 10b-5 contain extremely broad anti-fraud language. These rules have been used to prosecute insider trading, stock manipulation, and failures to disclose pertinent investment information. Investment Company Act of 1940 – This Act forms the chief basis for the regulation of mutual funds. The Act provides guidance regarding certain prohibited conflicts of interests and requires the disclosure of financial details regaining a company so that investors can make an informed decision about their investments. Covered companies are divided into three classes under the law management companies, unit investment trusts, and face-amount certificate companies. Sarbanes-Oxley Act (SOX) (2002)– Also known as the Public Company Accounting Reform and Investor Protection Act, SOX was enacted after the Enron and WorldCom scandals and is often a source for executive or company governing board liability. The law enhances penalties for white-collar crimes. The foregoing is not a comprehensive listing of all sources of securities and investment regulations however it does capture some of the more prevalent sources of regulation. New York’s Martin Act forms the basis for state-level securities regulation and prosecutions. Under the Martin Act, the New York Attorney General may investigate suspected fraud in the offer sale or purchase of securities. The Martin Act can be utilized for both felony and misdemeanor level fraud charges. At the misdemeanor level, the Martin act is rather unique for a fraud statute because proof of intent is not an essential element of the crime. That is, an individual can still be convicted of a misdemeanor count of fraud under the Martin Act without proof of intent. Upon conviction, the penalty for a misdemeanor Martin Act offense can be punished with up to 1 year in prison and fines. At the felony level, the consequences are significantly more severe. A class E felony conviction for securities fraud under the Martin Act can be punished by a minimum of 1 year in prison and a maximum of 4 years. 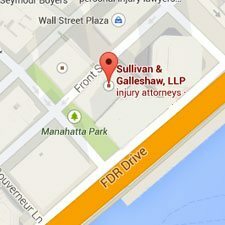 Our attorneys work to defend you from serious criminal charges. 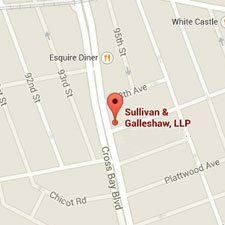 To speak with an experienced investment and securities fraud attorney call Sullivan & Galleshaw at (800) 730-0135.